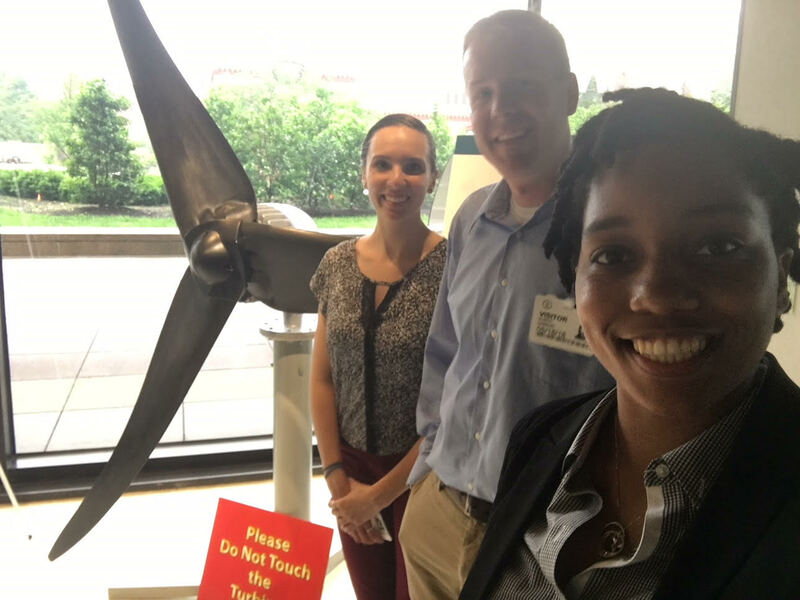 On May 16 - 18th IGERT Fellows Destenie Nock, Bob Darrow, and Casey Fontana traveled to Washington DC to engage with governmental agencies and policymakers. The purpose of these meetings was to understand how scientific information and mathematical modeling efforts are used to inform governance decisions. Through meetings with staff at the Department of Energy (DOE), the National Oceanic and Atmospheric Administration (NOAA), the Environmental Protection Agency (EPA), USAID, the World Bank, the Joint Global Change Research institute (JGCRI), and House and Senate legislative aides, the IGERT Fellows learned that there are a wide range of opportunities for research to inform policy at the federal and state levels. Influence can range from sitting at the table while policymakers debate carbon reduction strategies, to creating mathematical models to predict impacts that governmental policies will have on a local and global level.